Designed by Pete Dye and opened in April 2010, Old Quarry Golf Course takes shape on a naturally contoured site overlooking the Caribbean Sea and the sheltered bay known as Spanish Water. Measuring 6,920 yards from the championship tees, the golf course is complemented by an 8,000 square-foot clubhouse featuring a fully stocked golf shop, locker rooms, restaurant and lounge. 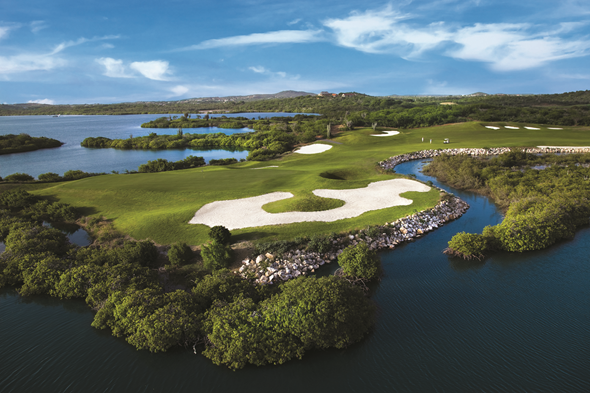 Named after the Plantation’s 19th Century limestone quarry, Pete Dye’s championship seaside layout was designed to fit seamlessly into the island’s hills and valleys. 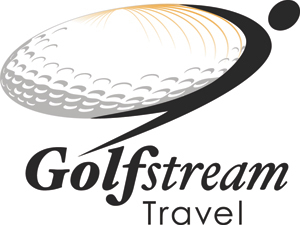 A challenge to players of all skill levels, the course meanders between the stunning blue Caribbean Sea, the slopes and hills of Tafelberg Mountain and the sheltered bay known as Spanish Water. 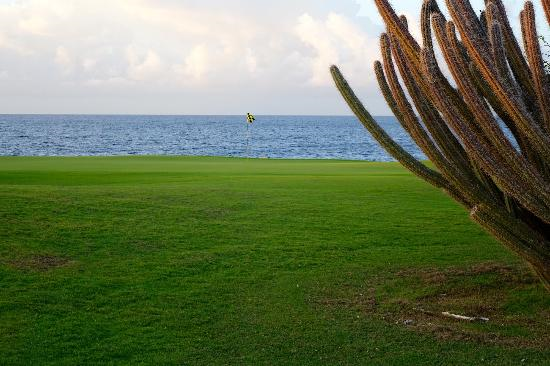 The combination of the rugged terrain, the mountain, the Caribbean Sea and the Spanish Waters Bay creates an unforgettable setting for the Santa Barbara Beach and Golf Resort and Dye's signature course. To quote Dye, "The ambiance here is what makes it special. First you see the Caribbean, then the bay and the boats, then Tafelberg, that big mountain that gave our courseits name. The land is incredible - the contours, the views, the ruins, the setting. Here the topography has enough movement; you don't have to create it." “With rainfall at only 20 inches a year and evaporation at 92 inches per year, water conservation and accurate delivery of irrigation was key,” said Jim Bolinger, the Golf Course Manager. “Another key factor was the need to blend it into surroundings that are desert like with various forms of Cactus and combine it with the influence of the Caribbean. 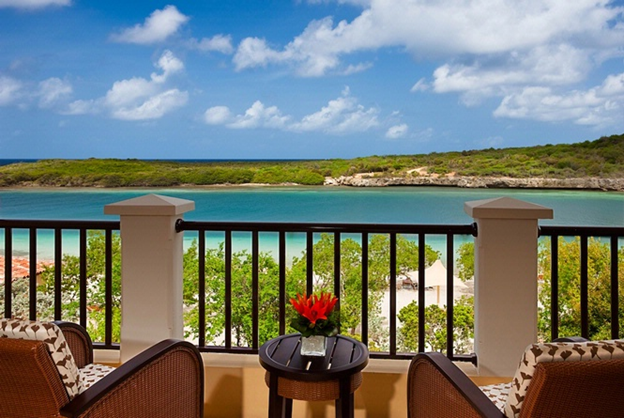 Breathtaking views, warm breezes, pristine sparkling blue waters. A dream escape. Escape to paradise at Santa Barbara Beach & Golf Resort and enjoy gentle sea breezes with breathtaking views from your luxury guest accommodations. 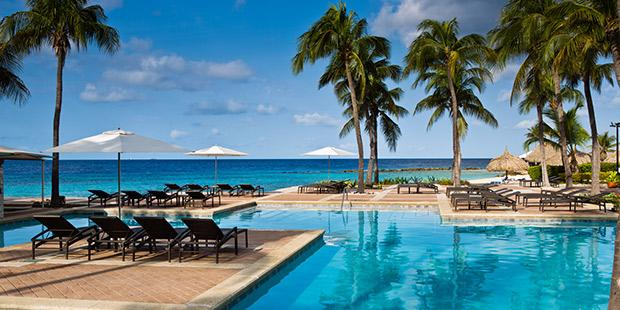 Discover the beauty, wonder and enchantment of this Dutch Caribbean hideaway. Make yourself at home in our luxuriously appointed spacious guest room or suite. 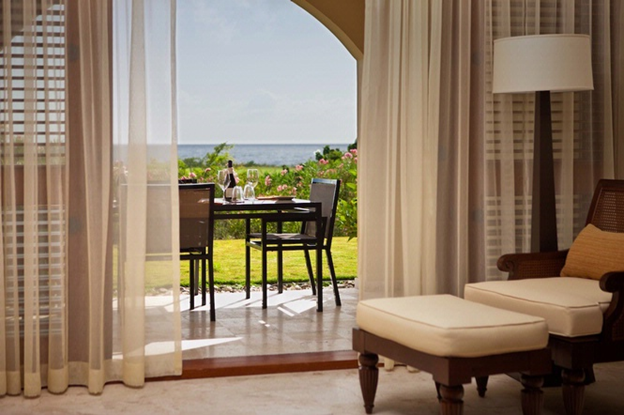 Enjoy an unobstructed view of the Caribbean Sea from your private balcony in our Premier Water View rooms. Decorated with natural wood, stone and earth tone colors inspired by the Caribbean landscape, each room offers 38 square meters (410 square feet) of living space and features either two plush double beds (53” x 78” / 138cm x 198cm) or one plush king bed (72” x 78” / 183cm x 198cm). 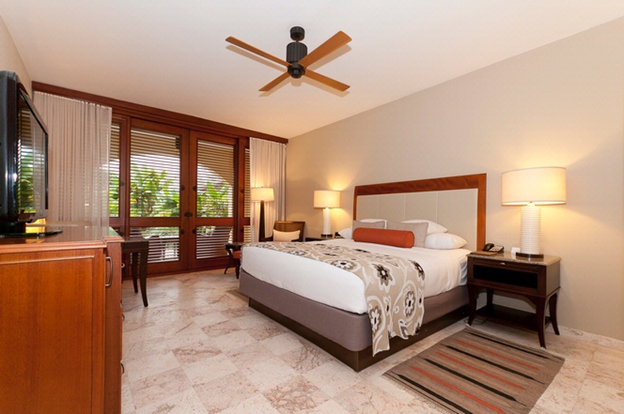 The spacious resort view rooms guestrooms offer views of our beautifully landscaped resort grounds and surroundings. Decorated with natural wood and stone with earth tone colors inspired by the Caribbean’s landscape, these rooms have 38 square meters (410 square feet) of living space and offer either two plush Double beds (53” x 78” or 138cm x 198cm) or one King bed (72"x 78" / 183cm x 198cm). The private balcony with seating area offers a relaxing setting while enjoying the wonderful views. 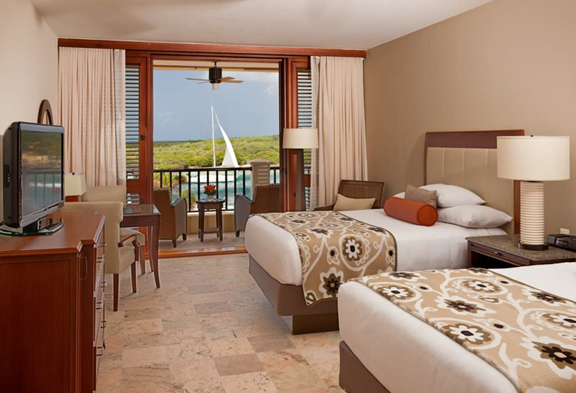 A Sea Traditions Room is the perfect choice for the discerning traveler seeking a more private, upscale experience. 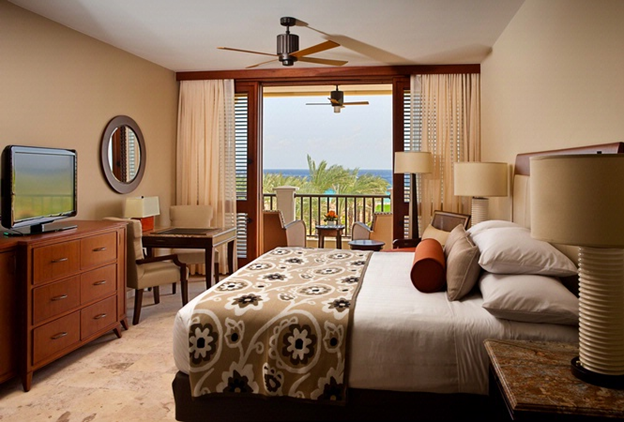 Nestled among three separate, semi-private buildings and running adjacent to both the Caribbean Sea and the first hole of Pete Dye designed Old Quarry Golf Course, the Sea Traditions Guest Rooms offer the perfect setting for a true getaway in their own unique community on the resort. 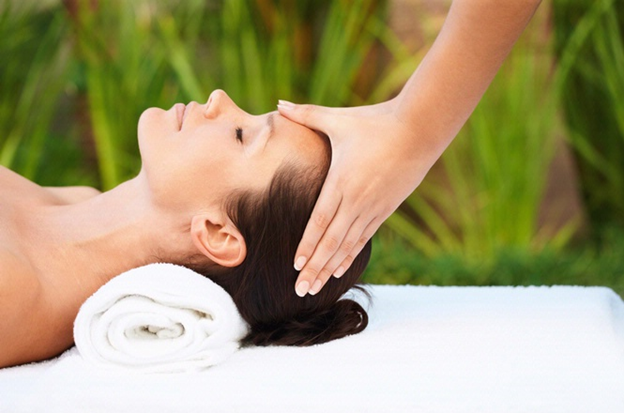 The enclave is comfortably separated from the main portion of the hotel, yet close enough to allow guests to enjoy all of the restaurants, spa and other services. The rooms are identical in size to those in the hotel, but include upgraded amenities, including the use of a private Sea Traditions enclave swimming pool, a private patio, a semi- private courtyard entrance and an on call butler from 9am to 7pm. The 38 square meters (410 square feet) of living space with either two double luxurious beds (53” x 78” / 138cm x 198cm) or one plush king bed (72" x 78" / 183cm x 198cm) boasts upgraded, unique amenities that embrace the traditions of the sea and the island of Curaçao. Enjoy authentic island art, upgraded audio technology, spa-quality soaps and lotions, or simply indulge in one of our books about the ocean and the island. From the minute you step into the glass-walls of our Curaçao resort spa and full-service salon, you’ll find peace and relaxation begin to set in. 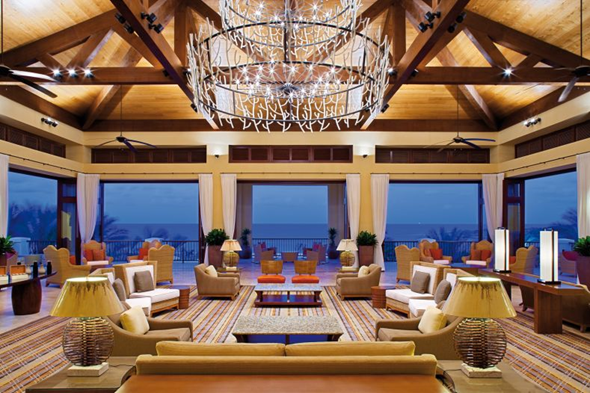 Enjoy views of the sparkling sea from the fitness center and the reception area. The spa was designed to mimic the area’s natural beauty and playful elements incorporate light blue, tan and dark woods. From gourmet burgers to sushi, you'll find something to satisfy your palate. 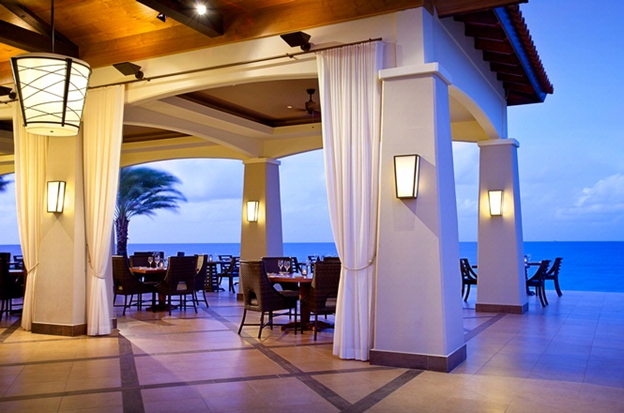 Dine with the Caribbean Sea as your backdrop on the open-air terrace, watch as deft hands create delectable dishes in the open-air kitchen at MEDI, or relax poolside at SPLASH while our attentive staff brings you your order. Each of our four exciting Curacao restaurants serves indigenous menu creations that focus on the freshest seafood and farm-to-table ingredients. Artfully prepared dishes. Meticulous attention to detail. Upscale and uncompromising. From Sea to....Shore. Sip the tropical sunset. 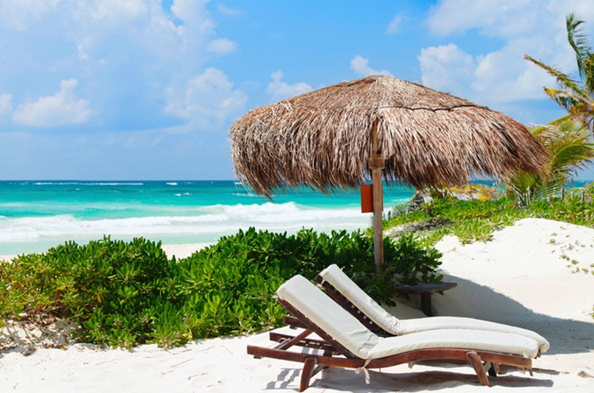 Savor the crystal blue sea. 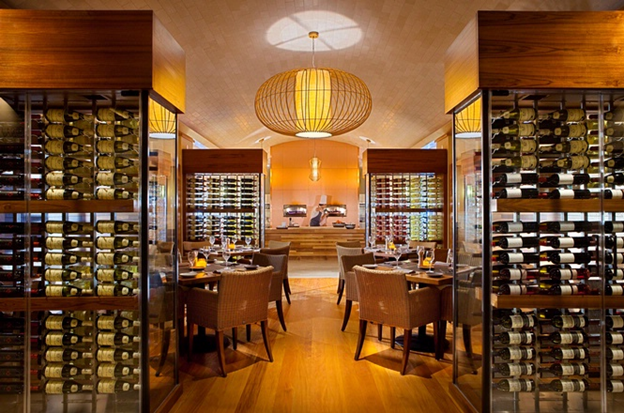 With each fresh catch, every spectacular wine, Shore Restaurant sprinkles your dining experience with a bit of paradise. 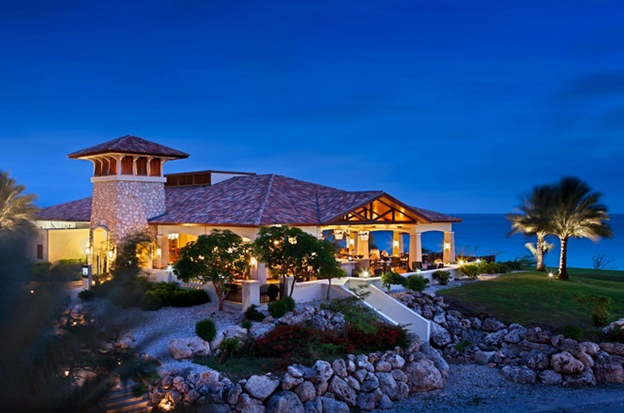 Featuring an open air kitchen, covered outdoor dining and views too breathtaking for words, Shore is Curaçao’s authentic Caribbean dining experience. Just 35 minutes Southeast of Willemstad. 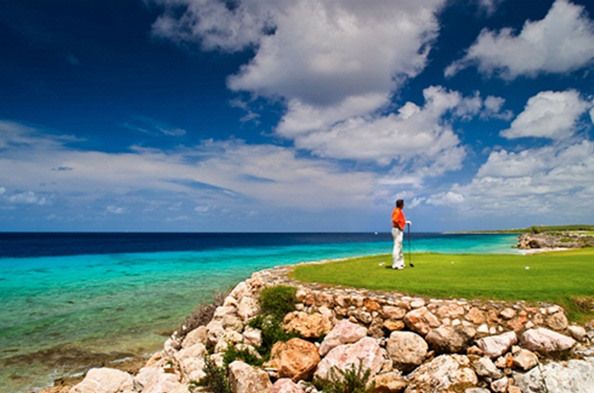 Santa Barbara Beach & Golf Resort, Curacao captures natural Caribbean charm and delivers it with an international elegance and sophistication. 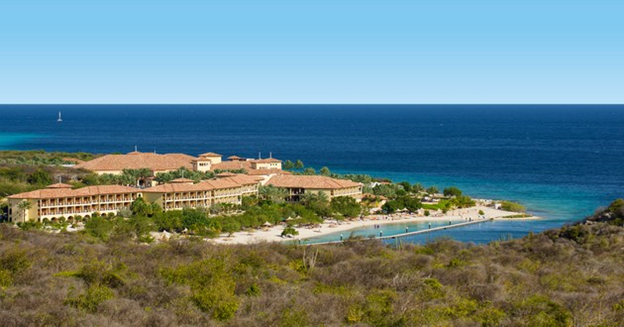 Just 35 miles from Aruba and served by a modern international airport, escape to paradise and embrace Curacao’s magical sea, sky and sun on 27 acres of rare natural preserve.